How to prevent the profile of the molding from losing its quality in sanding? The flap disc series are what you need, because flap discs are very flexible, with the capacity to sand any profile or molding. 1.Flap discs which work according to the profile and remove only a small quantity of the material. 2.Flap wheels will not cause any harm to the molding in sanding. 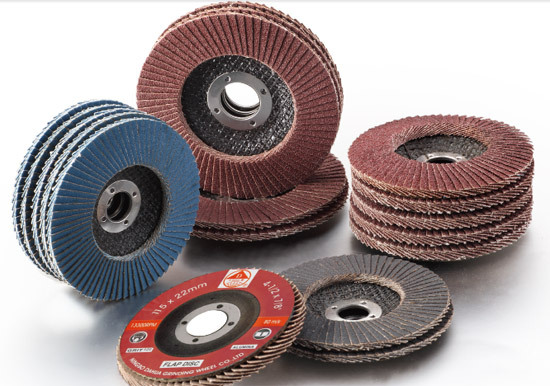 3.Flap discs used in the molding which has perfect and clean cuts, will easily remove all the unneeded particles and tooling marking on the molding. 4.Flap head helps to polish the product, enables the molding being applied primer or stain perfectly. 5.Flap head is also helpful to remove all the small fibers which rise up on the surface part of the material. 6.The uniform openings of pores which lead to uniform balance of color throughout the surface of the object. Other tools that can be used for giving the piece a perfect shape include abrasive grinding discs, deburring discs etc.